The Sydney Cricket Ground is a sports stadium located in Moore Park, Sydney. The sports ground is primarily used for cricket, but a number of other sports are played here as well. The stadium has a seating capacity for more than 48,000 spectators and is owned by the Government of New South Wales. The Sydney Cricket Ground Trust is the operator of the stadium. The ground hosts sports like Rugby League football, Australian Rules football, cycling, athletics, etc. and is the home ground of the New South Wales Blues Cricket team and Sydney Sixers of Big Bash League. Sydney Swans of Australian Football League also use the stadium as its home ground. The stadium was opened in 1848 as the Garrison Ground and club matches were played here then. 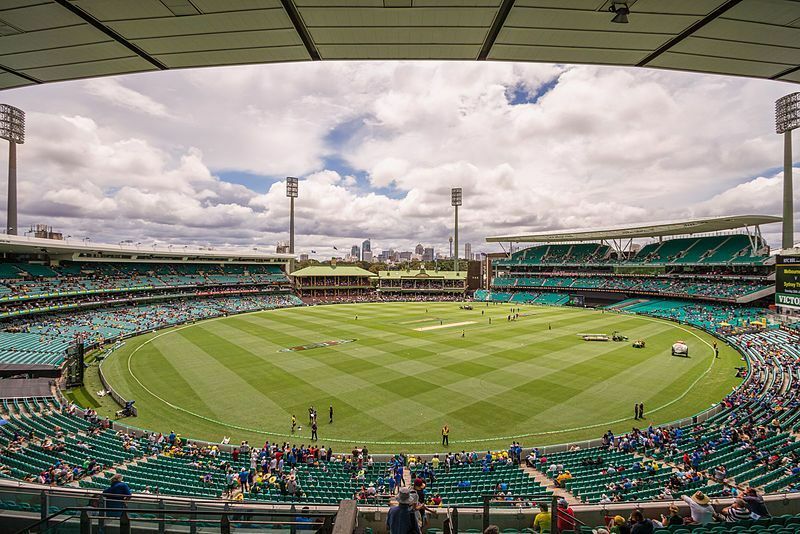 The official opening of the Sydney Cricket Ground was in the year 1878 and the first international match was played in February 1882 of the Ashes Series. The first ODI to be hosted by the Sydney Cricket Ground was between Australia and England in January, 1979. The Sydney Cricket Ground witnessed its first major match in the year 1928 when New South Wales and Queensland played a home tournament match. In this match, Sir Donald Bradman scored his top score of 452. This stadium was the venue of the second semi-final of the 1992 World Cup where South Africa were given an impossible target to chase of 21 runs off 1 ball after rain interrupted play. India scored their then highest total in tests of 705/7 in 2004 on this ground. One of the first controversies erupted in 1904 when a cycling event and a cricket match clashed with dates and the authorities favoured cricket and faced the wrath of the Government later on. The Sydney Cricket Ground has witnessed the most controversial match of 1992 World Cup between England and South Africa. After rain interrupted play, South Africa were asked to chase 21 off 1 ball instead of pre-rain target of 23 off 11 balls. South Africa lost a winning opportunity in the match. The last test match was played on this ground in January, 2017 against Pakistan and the last ODI was also played against Pakistan in 2017 by the Australian team. Opinion: Why KL Rahul deserves one last chance for the final Test match at Sydney?